The San Diego Republic flag, as seen on a T-shirt at Simply Local in Seaport Village. When people think of San Diego a few things instantly come to mind: sun, surf and, of course, pandas. 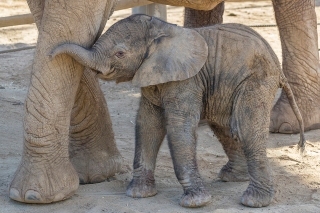 After all, the San Diego Zoo is famous for the furry bears that consistently make headlines with their cuteness. Now, the black and white bears have inspired two locals to create a new San Diego flag reminiscent of the California state flag, only more “panda-like,” if you will. 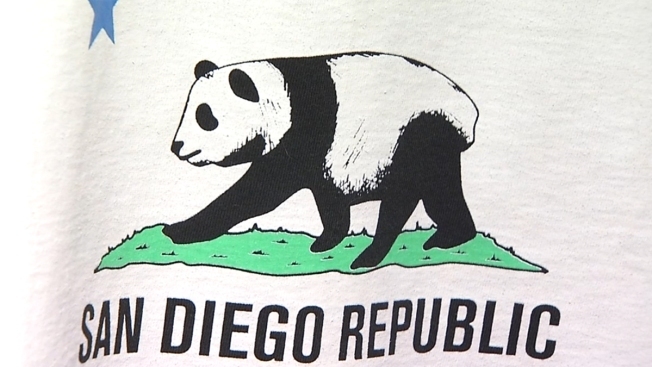 Constance Carroll, chancellor of the San Diego Community College District, and Martha Barnette, journalist and public radio host, joined forces this year to create San Diego Republic, a company that sells T-shirts featuring a flag of a panda bear. According to the company website, Carroll is the artist behind the flag that honors America’s Finest City. The T-shirts featuring the panda design cost $19.95 a pop and are sold online or at the Simply Local Store in Seaport Village. The longtime San Diegans are also working on more panda-inspired products slated to be available soon on their website.